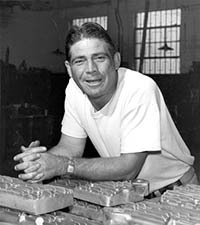 SEMA Hall of Fame - Vic Edelbrock Sr., 1977, Edelbrock Corp.. 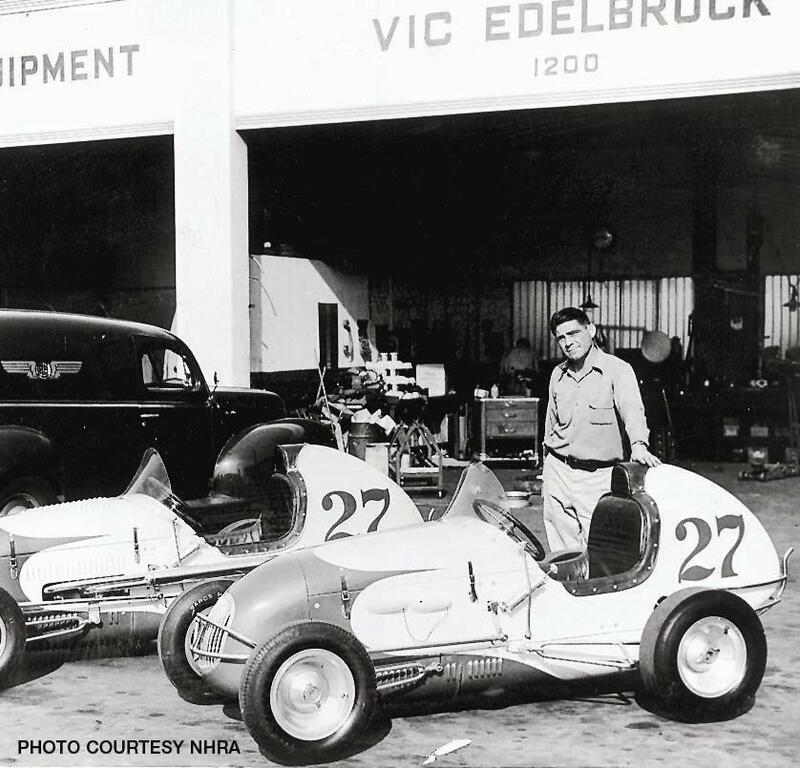 Founder of the Edelbrock Corporation, Otis Victor Edelbrock Sr. was an early days hot rodder who modified his own cars, tested products on them, then sold the parts piecemeal to an eager base of customers in Southern California. Eventually, mass production of Edelbrock manifolds and heads was inevitable and the company flourished. The Edelbrock line now includes cylinder heads, intake manifolds and pistons for many applications. And he achieved an industry first in 1958 by getting 1 horsepower per cubic inch from a 283 Chevy small-block with the new cross-ram manifold. Vic Sr. was inducted in the International Drag Racing Hall of Fame as well as the National Midget Auto Racing Hall of Fame.